Do you know what I love? Watching your babies grow! I have been so honored to photograph this beautiful girl since before she was even born! I have done a maternity, newborn, Santa, and birthday session for her and I’m SO thankful! It truly is an honor to be blesses with the task of providing your family with heirlooms that you will treasure! 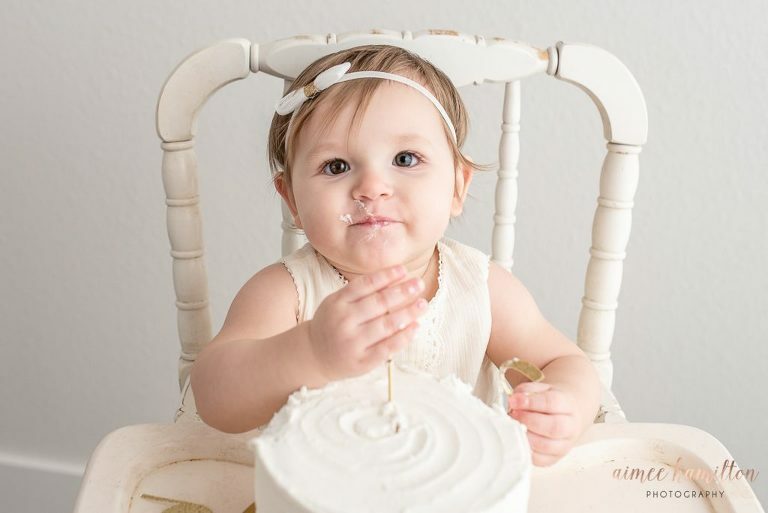 Cake smash photography in Houston is such popular milestone photoshoot! I love being able to offer cake smashes in my studio, outdoors, and even on the beach! 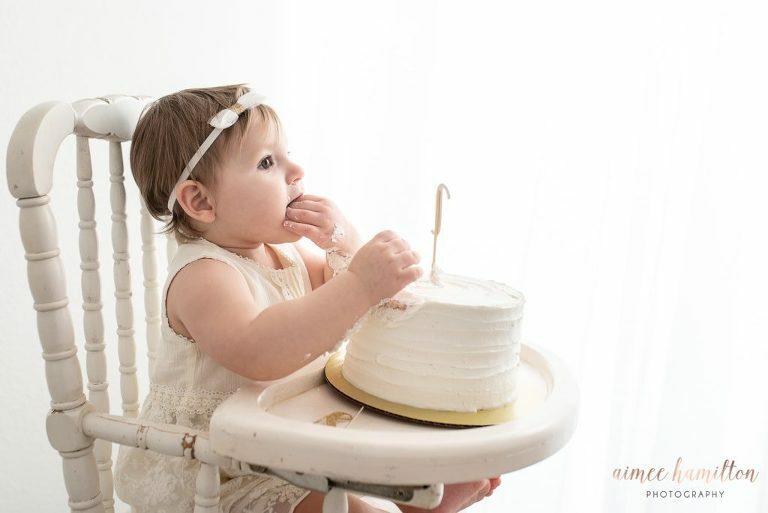 Ask any cake smash photographer and they’ll tell you that a lot of babies don’t love their cake. Shocking right? That’s not what you see all over your social media accounts, but it’s the truth! I have found the *perfect* solution! 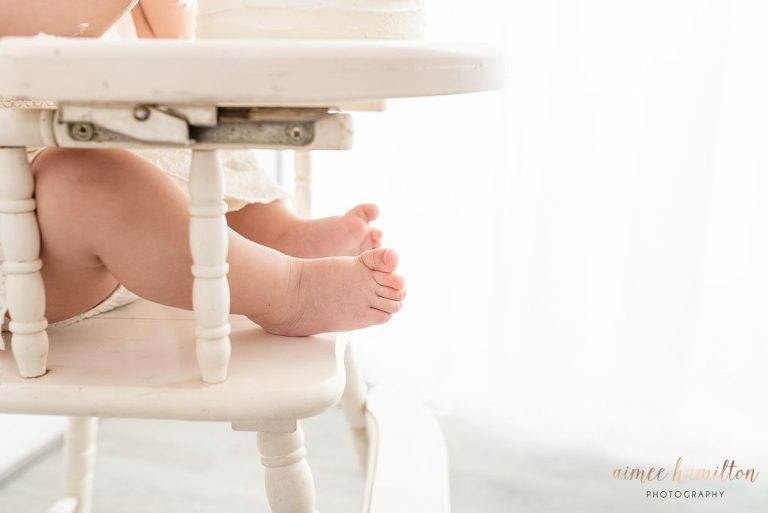 By the time your baby is scheduled for their session, they know that their high chair is where they eat, right? I have added an adorable antique high chair to my cake smashes and now the babies LOVE their cakes! Isn’t that funny? It’s almost like they didn’t know what to do with it before! I currently use a white chair that I love, but if you ever find another antique chair locally, send it my way! I’d love to add a couple other colors. I’m all about doing things that are easy! I provide wardrobe pieces for your cakesmash that photograph well. My client wardrobe includes beautiful textures, neutrals, and soft colors to create that timeless look that we love so much on our little ones. I love supporting other small businesses like Joy Marie Clothing, Little Dashing Darling, and She Loves Her Mama when I’m shopping for my cake smash clothing. When should I book a cake smash session? Promise to not think I’m crazy? Plan to book your session around the time your baby turns 8-9 months old. Ideally, we want your session to happen before that sweet babe can get up and run away from us. That means your session will be around the 10.5-11 month time frame. Standing and taking steps is perfect, too! Not all babies walk early and that’s okay! I also like to have your session done early so that you have the ability to get prints before their first birthday party! 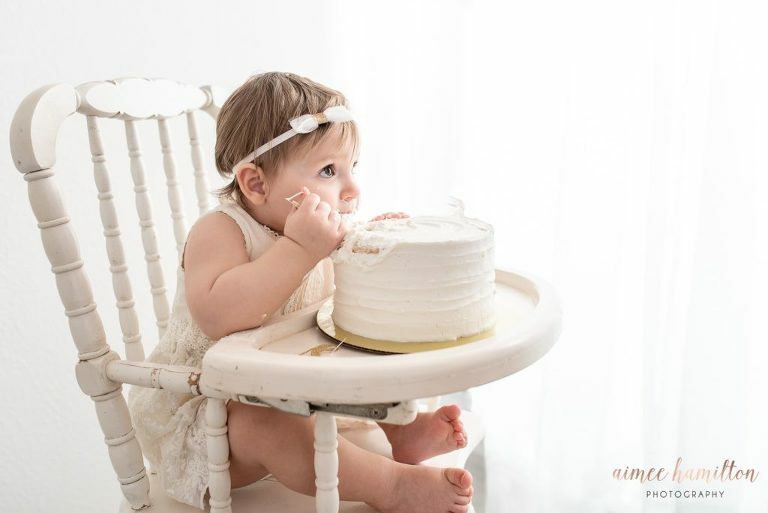 Ready to book your own cake smash photography in Houston?